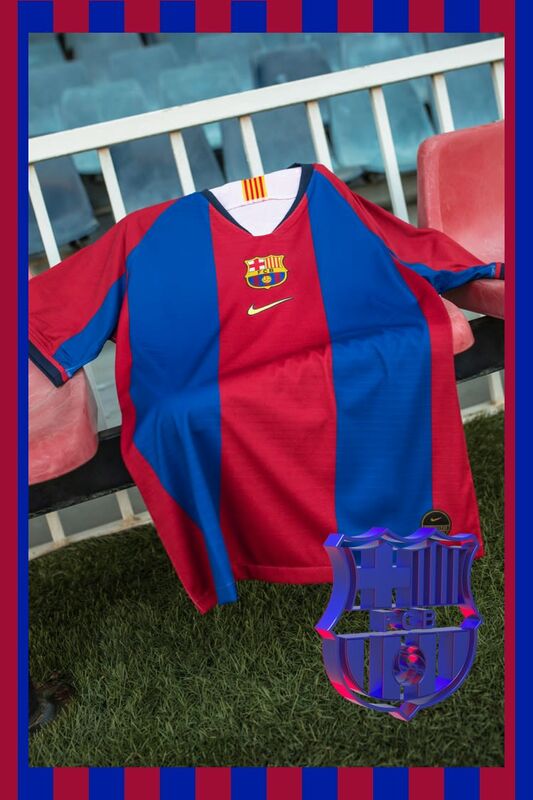 The Barça 98/99 Jersey is back. 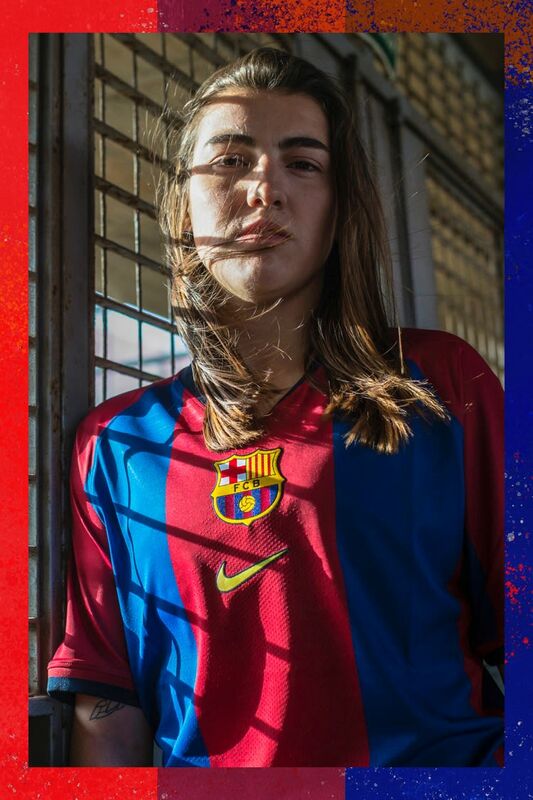 Bag yourself a blast from the past with the first Barcelona jersey to come from Nike. 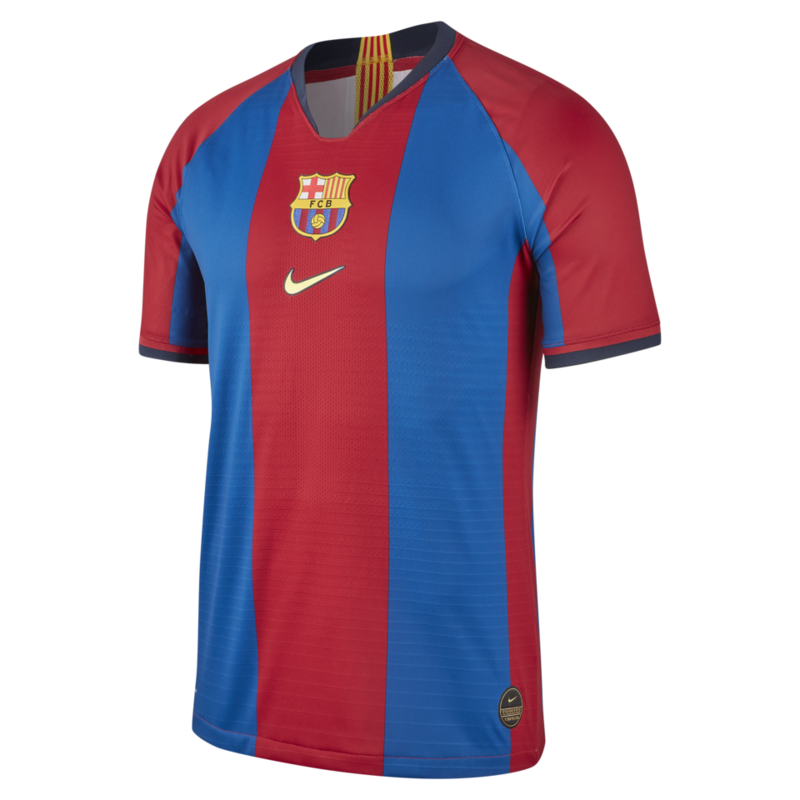 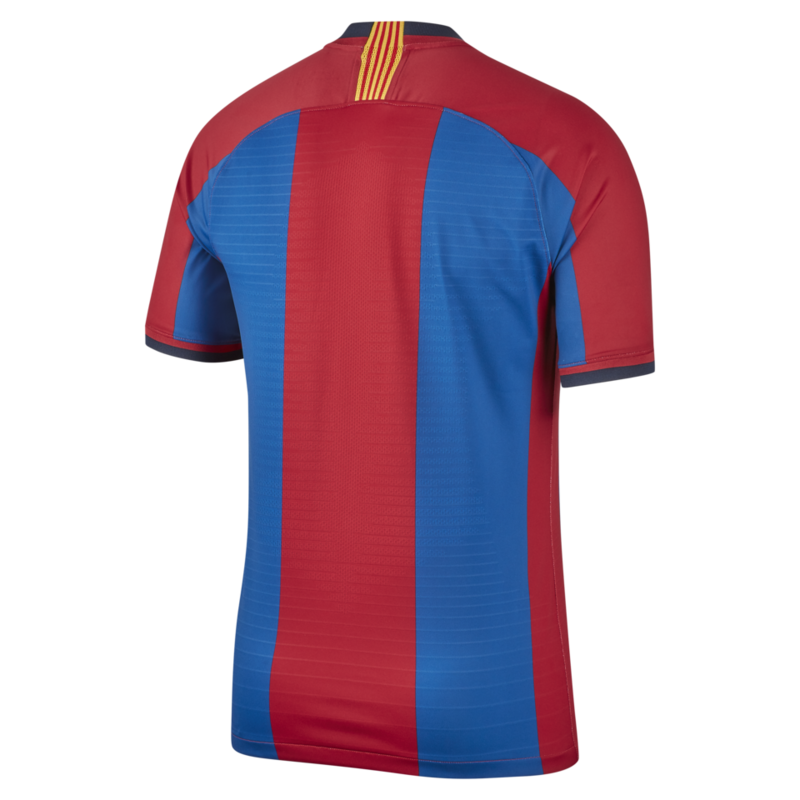 Nudging on the nostalgic, the FC Barcelona Jersey sports the original wide central stripe, central emblem and v-neck collar. 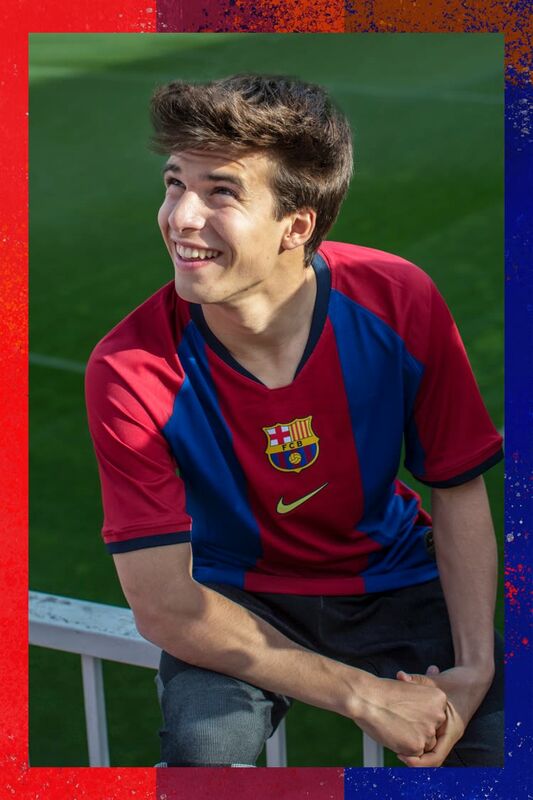 For the Mini Estadi stadium it’s the end of an era. 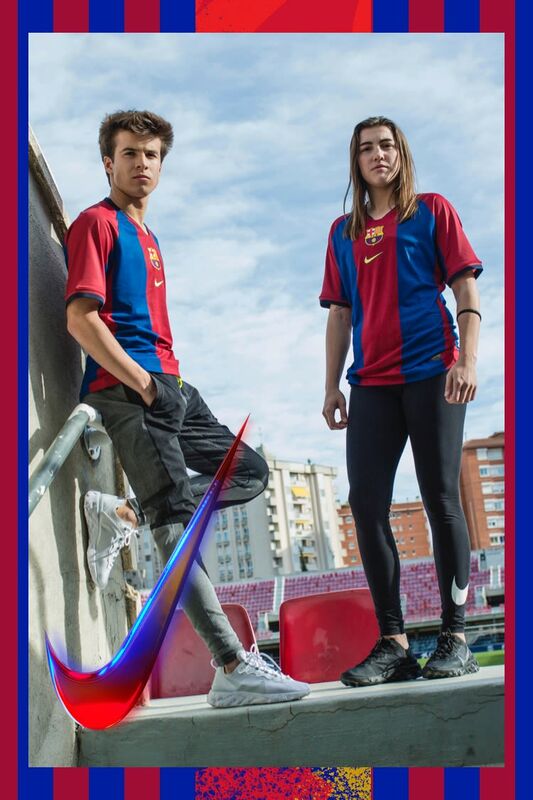 Rising stars Riqui Puig and Patri Guijarro don the new shirt to pay homage; a mark of respect that mirrors the past, present and future for the club.